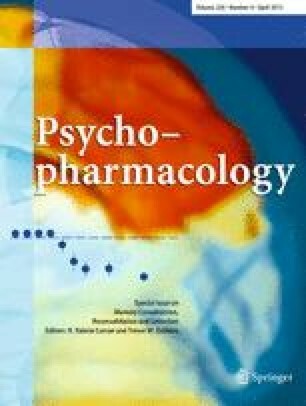 Whilst Cannabidiol (CBD), a non-psychotomimetic cannabinoid, has been shown to enhance extinction learning in rats, its effects on fear memory in humans have not previously been studied. We employed a Pavlovian fear-conditioning paradigm in order to assess the effects of CBD on extinction and consolidation. Forty-eight participants were conditioned to a coloured box (CS) with electric shocks (UCS) in one context and were extinguished in a second context. Participants received 32 mg of CBD either following before or after extinction in a double-blind, placebo-controlled design. At recall, 48 h later, participants were exposed to CSs and conditioning contexts before (recall) and after (reinstatement) exposure to the UCS. Skin conductance and shock expectancy measures of conditioned responding were recorded throughout. Successful conditioning, extinction and recall were found in all three treatment groups. CBD given post-extinction enhanced consolidation of extinction learning as assessed by shock expectancy. CBD administered at either time produced trend level reduction in reinstatement of autonomic contextual responding. No acute effects of CBD were found on extinction. These findings provide the first evidence that CBD can enhance consolidation of extinction learning in humans and suggest that CBD may have potential as an adjunct to extinction-based therapies for anxiety disorders. This study was supported by a grant awarded to SKK, CJAM and HVC by the Medical Research Council (UK). The authors report no conflict of interest, financial or otherwise, in this research. All data were collected in compliance with UK law.